Since many years, it’s evident that the E-Commerce industry has been gaining popularity. Indeed, many tools have provided merchants the best online destination to promote their products. But, keeping a track of sales can be the biggest challenge for merchants. So, here we have taken into account the ways in which QuickBooks hosting can help the E-Commerce business. Updating sales all by yourself can certainly be a time-consuming and tedious task. The activity can also delay everything related to accounting operations. So, as an alternative, you can make the process smooth by opting for QuickBooks Cloud hosting. While many open source E-Commerce platforms are compatible with the bookkeeping software, the merchant would be able to filter out transactions for a specific time period. Moreover, since the features of hosted QuickBooks can be accessed from any location, the individual can keep a track of data with ease. It becomes very much easier to manage just one tool rather than two different systems. With QuickBooks hosted on the cloud, E-Commerce business owners can actually save a lot of time in hiring professionals who would be responsible to update records time and again. Once the accounting tool is deployed, you are assured with data integrity because transactions are handled automatically. Furthermore, you would be in a better position to mitigate the risks of frauds. With QuickBooks, you can always think about displaying credit card logos and increase sales. This in turn boosts the confidence level and increases trust when customers wish to pay through credit cards. When shipping and inventory management becomes an arduous task, you can always think about integrating QuickBooks with add-ons. As the tool serves the basic needs, entrepreneurs no longer have to manage inventory at multiple locations and deal with complex situations. Merchants would find it feasible to track inventory and never bother about running out of stock. Integrating QuickBooks with an online store can help you gain control and save more on costs. Apart from showcasing items along with the prices, you can automate shipping notifications and gather customer data whenever the need arises. Not just that, you would be delighted in enhancing the visibility and check out everything right from the instance when the order is placed. Since data is maintained through a single software, QuickBooks, you can always boost customer service. Centralized order management can help you fetch data related to sales and crate receipts and invoices in your own style. Moving ahead, you can observe the incoming orders and arrange for shipments as early as possible. Once the expert has succeeded with integrations, you can never delay payments. You should first choose a vendor, follow the instructions for linking the online store with the accounting software, and be ready for accepting credit card payments. Once the payment is processed, the money gets directly credited in the bank account. 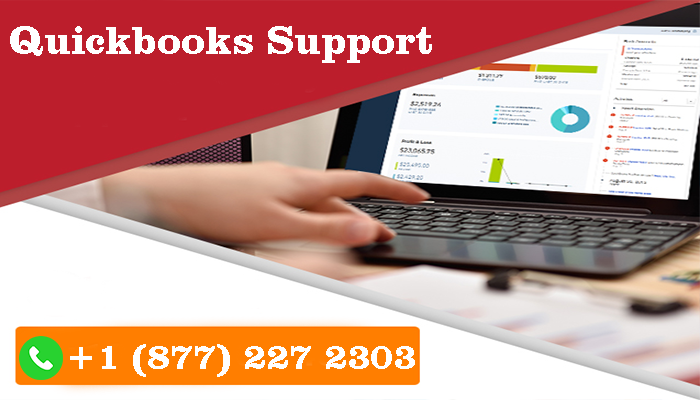 So, if you are thinking about QuickBooks for the web store, do get in touch with the Quickbooks Support team by dialing the QuickBooks Phone Number.